In recent years, customer centric marketing strategies have gained momentum in the academic world as well as in the professional field. The focus of marketing has shifted towards long run customer relationship. Marketing concept is becoming the most important concept in almost every sphere of business discipline. As a result, much attention is given by the academics and marketing practitioners on the customer driven or oriented concepts. With the gradual development of CRM, RM, and most recently, KM, Customer Knowledge Management (CKM) is becoming a buzzword in the marketing discipline. 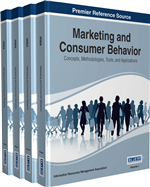 This chapter suggests a different approach to assess the variables of CKM in terms of marketing performance. Based on thoroughly researched secondary data, this conceptual chapter suggests a framework integrating the so far incoherent frameworks as proposed by previous authors. Emanating from this eclectic and chronological literature review, the chapter has also proposed further missing links that need to be included in the proposed integrated framework. Based on this holistic framework, the future researchers may conduct an empirical study to validate this conceptual framework. In fact, from this proposed integrated conceptual framework, it is expected to find that in total 7 vital aspects/factors (3 from CRM layer and 4 from KM layer) are likely to have significant impact on the marketing performance of the organizations. It is also expected to have interaction effect between (a) CRM components towards marketing performance, (b) KM components towards marketing performance, and (c) CRM and KM components (the model as a whole) towards marketing performance of the organization. In recent years, marketing focus has shifted towards long-run marketing, which has given rise to cutting edge concepts such as Relationship Marketing (RM), Customer Relationship Management (CRM), etc. In addition to this, very recently a new concept has been evolved in the academic arena, which is basically concerned with the acquisition, maintenance and utilization of different types of knowledge/ideas/information within an organization which is known as Knowledge Management (KM) (Paquette, 2006; Rowley, 2002). With the development of Knowledge Management concepts in the organizations, it is felt necessary by many organizations to properly acquire, preserve, maintain, and utilize customer knowledge to achieve better marketing performance through long-run marketing vision. This ultimately led to develop a new concept in the marketing area, which is known as Customer Knowledge Management (CKM). Furthermore, recently, another interdisciplinary marketing concept has been evolving which is known as curative marketing, forwarded by Czinkota (2012). The main theme/objective of curative marketing is to use marketing’s capabilities to reflect on its shortcomings in the past and deliver compensatory future action; hence, healing and setting things right to increase the well-being of the individual and society on a global scale. This paradigm draws on a variety of disciplines such as jurisprudence, cultural anthropology, philosophy and history paradigm of curative marketing (Czinkota, 2012). As a result, marketers must deliver joy, pleasure, fulfillment, safety, personal growth, and advancement towards a better society. In this perspective, one major concern of curative marketing is to ensure truthfulness and simplicity to the individuals, especially, the customers that will assist them in their purchasing decision in a fair manner. In order to address these issues properly, Customer Knowledge Management (CKM) can play a pivotal role by preserving relevant customer knowledge in an appropriate way, which can assist the marketers to understand what customers really want and, at the same time, adequately inform the customer about the assortments that the marketers have to offer. Through a proper customer knowledge management system, marketers are able to collect feedback from the customers, which can ultimately help them in further developing their products and services to fulfill the customers’ expectations. In this way, CKM can be considered as one of the most significant preconditions for curative marketing. In recent period, CKM is gaining much importance in the academic world as well as in the professional field. As a most recent and very new innovative area, a body of literature can be found that have discussed a very preliminary insight about CKM. Most of the prior literatures in the field mainly discussed about the basic matters such as what is it, from where it has been derived, some of its major issues etc. For example, there exists a large body of literature (such as Dous, Kolbe, Salomann, & Brenner, 2005; Paquette, 2006; Vorheaur, 2008; Zanzani, et al., 2008) that have only tried to conceptually discuss the components of CRM construct of CKM i.e. knowledge for, from and about customer. Some literatures can be found (Bueren, Schierholz, Kolbe, & Brenner, 2004; Leitch & Rosen, 2001) that have tried to conceptually discuss the importance of KM integration with CRM in the CKM process. Dennis, Marsland, and Cockett (2001) in their study tried to find out the influence of CRM components (knowledge for, from and about customers) on the marketing performance through a qualitative exploratory study. Bose and Sugumaran (2003) in their study tried to discuss the importance of KM aspect in the CKM process. They also tried to discuss the possible impact of overall KM aspect on the organizational performance. Very few prior literatures exist that have tried to explain the influence of the CKM elements (both CRM and KM aspects) on the organizational performance and to a limited extent on the marketing performance mainly as a part of the organizational performance (such as Davenport & Glaser, 2002; Karami, Gharleghi, Nikbakth, & Mirasadi, 2010; Peyman & Safanaz, 2008; Rowley, 2001; Sentosa, Piaralal, & Bohari, 2011; Weiss, Capozzi, & Prusak, 2004; Wiij, 1994). However, these few literatures have attempted to address this but in a very scattered way. Keeping this aspect in mind, this chapter tries to develop an integrated conceptual framework that addresses the CKM impact on marketing performance.